is a German-Austrian tour operator located in Talca, Chile. Turismo El Caminante has its own fleet of vehicles from four-wheel drive to expedition vehicle. Our long-term tour guides and drivers accompany our guests on their travels through South America. 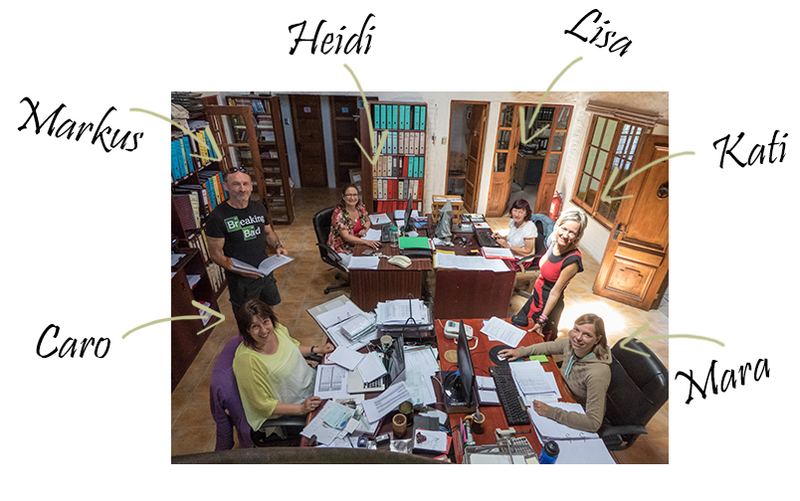 In Chile we have our own accommodations located in different regions. There is no lack of local knowledge, we create our own hiking maps and are authors of various manuals about Fauna & Flora in Chile. As one of the first on-site tour operators, we also offer bike tours and above all e-bike travelling in Chile. We, the owners, Kathrein Splett and Franz Schubert, traveled throughout South America as backpackers both on foot and by jeep for several years before setting up our own incoming agency in 1993. Since then we have been organizing and guiding tours for European companies in South America with particular emphasis on trekking, harmony with nature and interest in local customs. Companies such as Wikinger Reisen, Footprints, Wave, Wigwam, Bergspechte, Take Off and Duma, among others, have been our partners over the past few years. Following the maxim “…discovering amazing places in small groups…” we travel to South America’s most beautiful regions trying to keep as close as possible to the country’s characteristics and traditions. We have a wide range of programs from easy walking-tours to challenging mountain-treks, tours on breathtaking rivers and exotic llama treks. Of course, we also visit cultural highlights such as Machu Picchu, although the trips are more than just a purely educational experience. All requirements regarding routes to be taken, the category of accommodation, any special interest such as flora and fauna etc. are planned in close conjunction with our partner companies. In general, however, we prefer small family-run hotels, and we choose local suppliers who stand out for the efforts they make in offering a personal and warm service to their visitors. We make every effort to come into close contact with local customs and traditions.